Thanks for checking out my website. I’m happy to have this forum to explore and expand on topics related to Fisk coffins and associated people, places and events. I want to begin by explaining what I find so fascinating about Fisk coffins. To me, they’re way more than just cool-looking coffins that naturally preserve human remains – they offer a fascinating perspective to understanding the confluence of ideas and events occurring in the early 19th century, which shaped the world we live in. In my opinion, Fisk, Raymond, Pollard, Roberts and Peterson, and everyone else alive in the second quarter of the 19th century, were among the first generation of truly modern Americans – which is to say, the challenges, attitudes and technologies they experienced were closer to our experiences than the lives of their parents and grandparents. The antebellum period was like a cultural Big Bang event that solidified, and put into motion, the fundamental elements of modern society, and we are living in the echoes of the decisions made then. The people of the 1830s, 40s and 50s were the first to experience many things that define who we are – and take for granted as a country today – for instance, the physical boundaries of the country, indoor plumbing, cooking stoves, long-distance communication and travel, the funeral industry, the medical profession and the middle class. In addition, many issues, such as race, gender, labor, religion, voting rights and the Nativist Movement were as hotly contested in 1848 as in 2018. The coffins not only represent huge leaps in science and material culture, they were also a zeitgeist of the times. Patented in 1848, the coffins were the result of the growing friction between technological innovation and religious tradition that had been building toward a spiritual crisis over the past decade. Briefly, the introduction of long-distance steam travel provided an unprecedented opportunity for thousands of people to head out, die, and be buried by strangers far from home. This situation denied loved ones their participation in the deathbed and funerary rituals that had reinforced family and community bonds of the, up until then, largely sedentary population. The coffins appeared at a crucial moment in the country’s development and embodied a paradox of modern and ancient ideas and ideals that illustrated the identity crisis America was struggling with at the time. They were fashioned to look like an Egyptian sarcophagus, with all its implications of eternity, ancient wisdom, empire and permanence, yet created using the most modern material – cast iron – and techniques available. I find them intriguing for their ability to represent some of the most intimate fears and desires at the heart of family life, while also exemplifying the aspirations and ambitions of the young and innovative nation. My first encounter with Fisk coffins was in Newark, NJ, in 2005, when my trowel scraped across the rusty top of the coffin of Captain William Pollard. 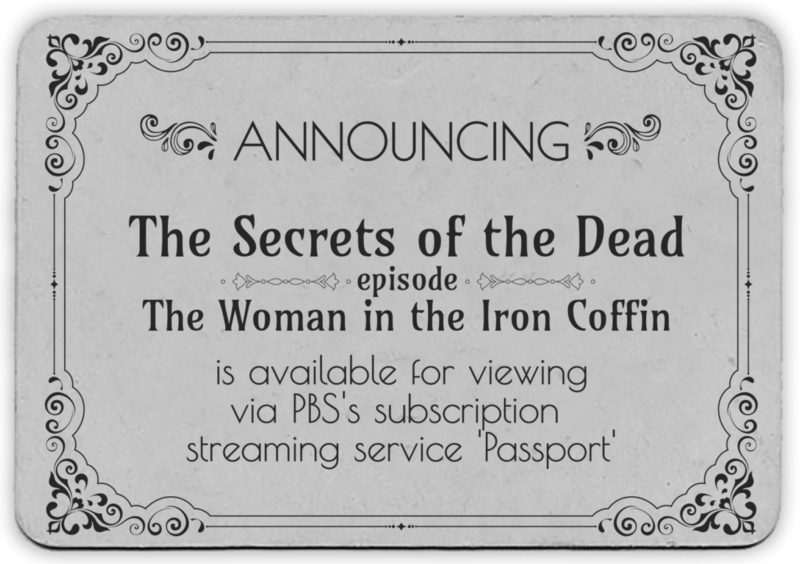 I had exposed hundreds of crumbling wooden boxes in the downtown cemetery/construction site that summer, and wasn’t expecting anything like an iron coffin. At the time, I didn’t even know such items existed, and I was shocked to see something resembling an Egyptian sarcophagus embedded in the heart of downtown Newark. 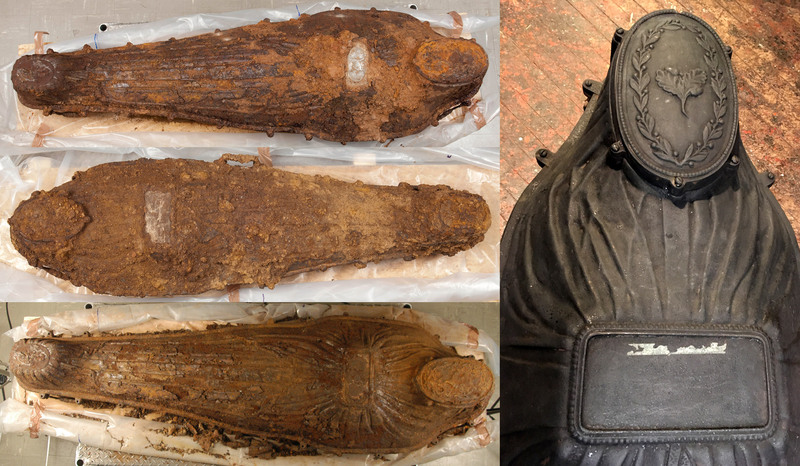 By the time Pollard’s coffin, and a second, belonging to Mary Camp Roberts, were transported to the Smithsonian Institute for analysis, I had consumed the meager, and largely inaccurate, details about them available online and considered them more as a mummy delivery device than important cultural artifacts in their own right. Eager to identify the two antebellum time travelers, I was less interested in their rusty time capsules; however, that changed during a trip to the Smithsonian’s dark, low-slung basement. Taking a break from the brown funk that filled the lab and coated our sinuses, Professor Deb Hull-Walski took us down to see the other iron coffins in their collection. It was while she recounted the coffins’ origin story that their significance and how they fit into the emerging industrial world came into sharp focus. Deb explained that Almond Fisk was a young New York stove designer whose brother had died in Mississippi in 1844, and how at the time, there was no means of returning the body home for a proper Christian burial among kin. Having the skills and desire to remedy the circumstance, Fisk brilliantly took the same cutting-edge principles and materials of airtight stove manufacturing, which were also literally the heart and lungs of steam travel, and used them to create a coffin that mitigated some of the heartache steam travel had inadvertently caused. 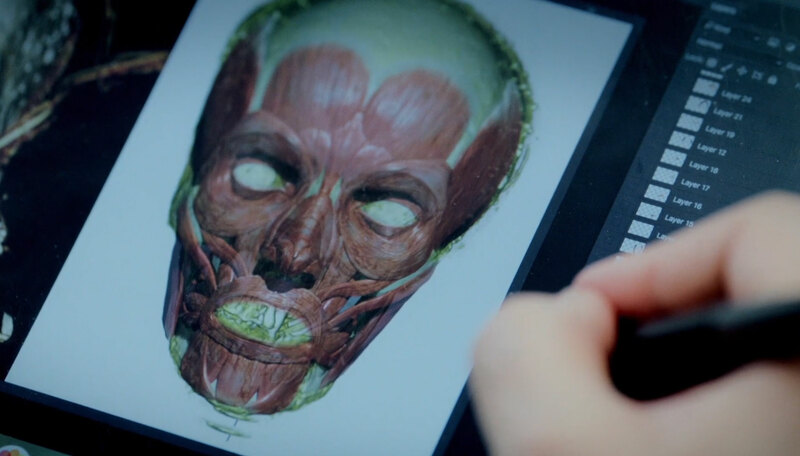 I found the symmetry of the story stunning, and it opened up a new, more interconnected way of thinking about history and technology. Since then, I marvel at how the positive and negative feedback loops of innovation fuel progress – not only by providing impetus for new and improved inventions but sometimes even entirely new industries. In future posts, I’ll be exploring the connections between Fisk’s coffins and steam travel, contagion, funeral rituals, cemeteries, the development of the funeral industry, museums and the rise of the medical profession. 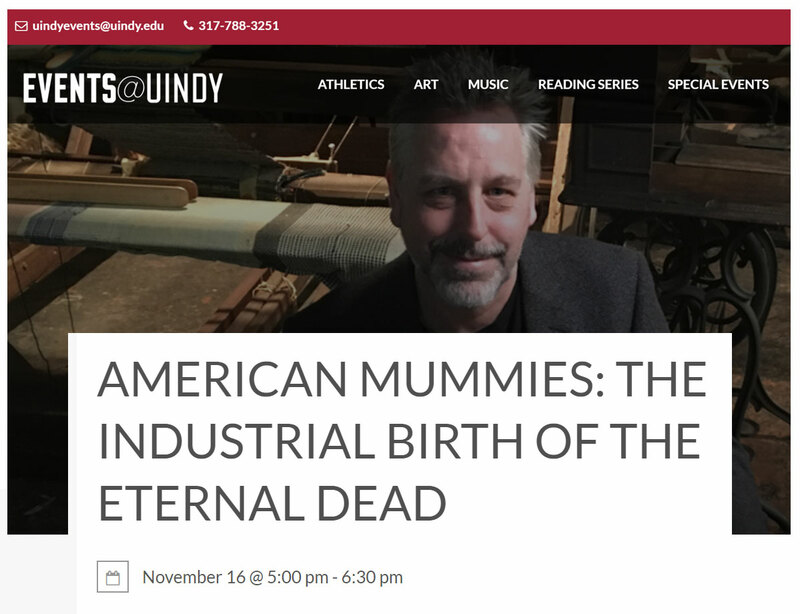 Along the way, I’ll be introducing several people, famous and obscure, who played important parts in the complex story of the industrial birth of the eternal dead.